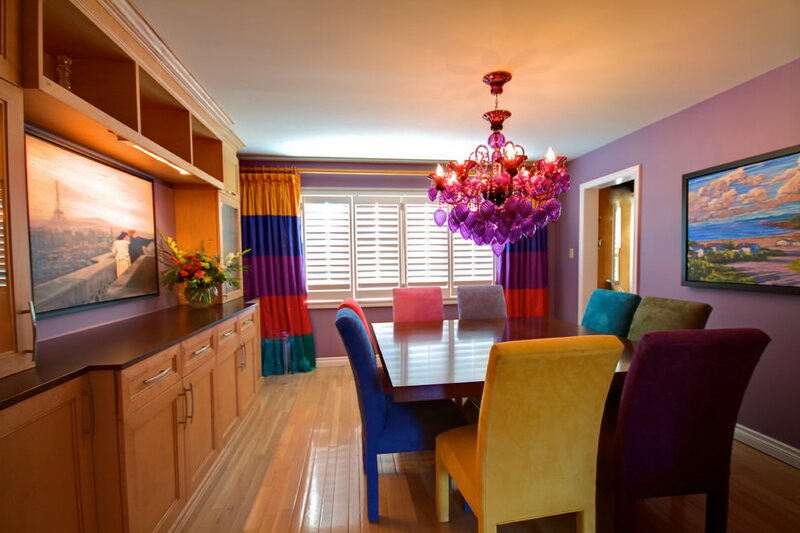 Being a unique choice in terms of colour scheme for your dining room, purple is definitely one of its kinds for coloring the interior of the place where you love to enjoy sumptuous meals with your family and friends. 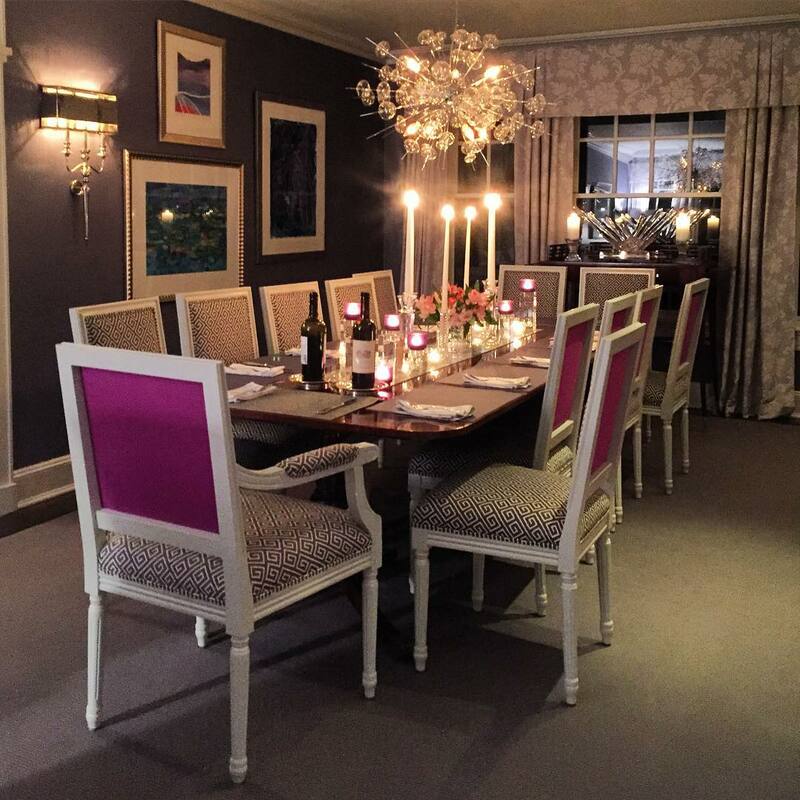 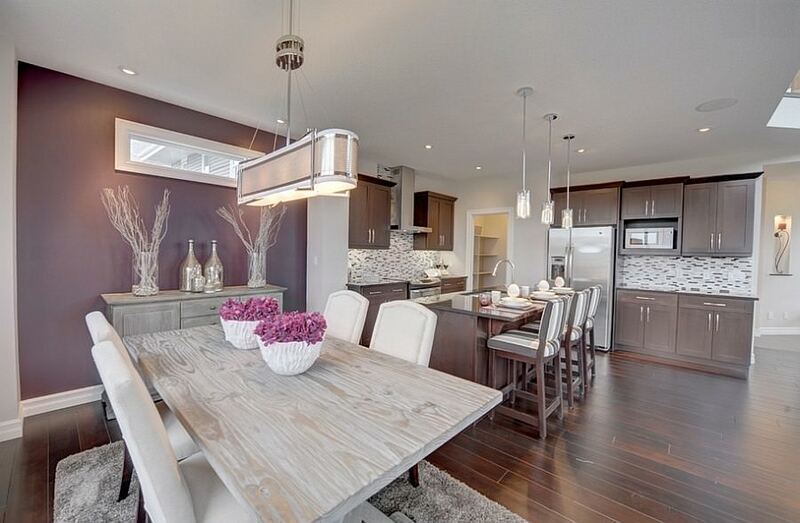 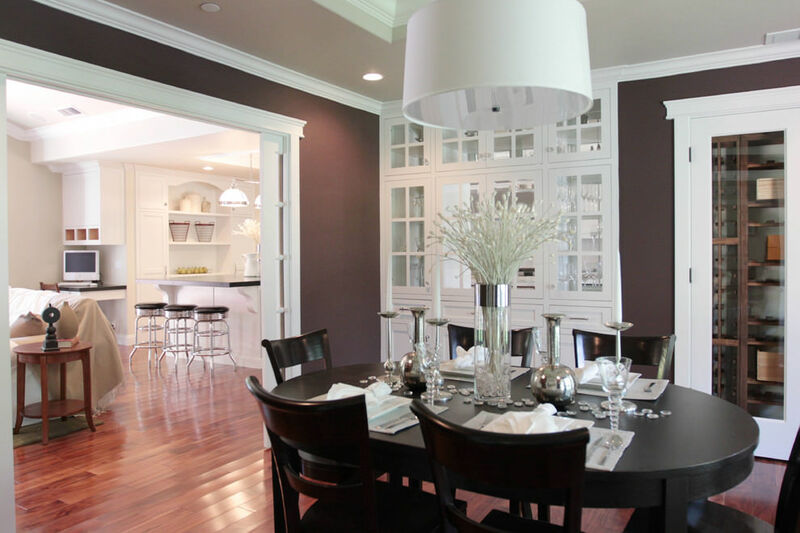 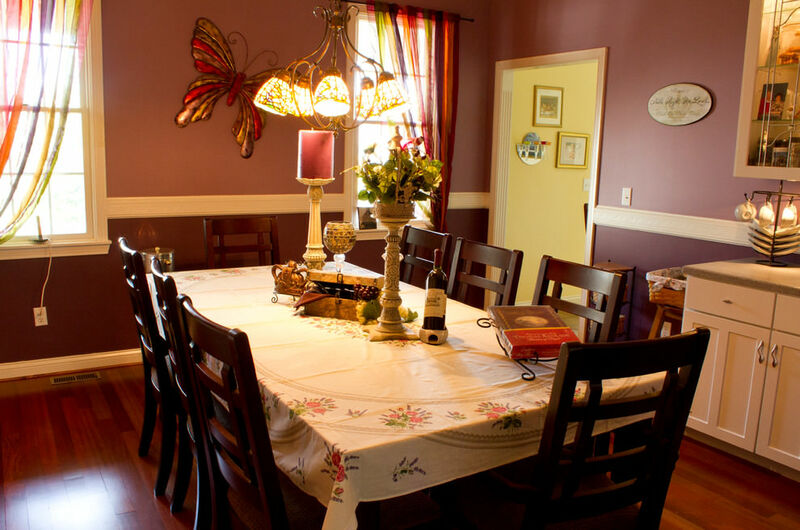 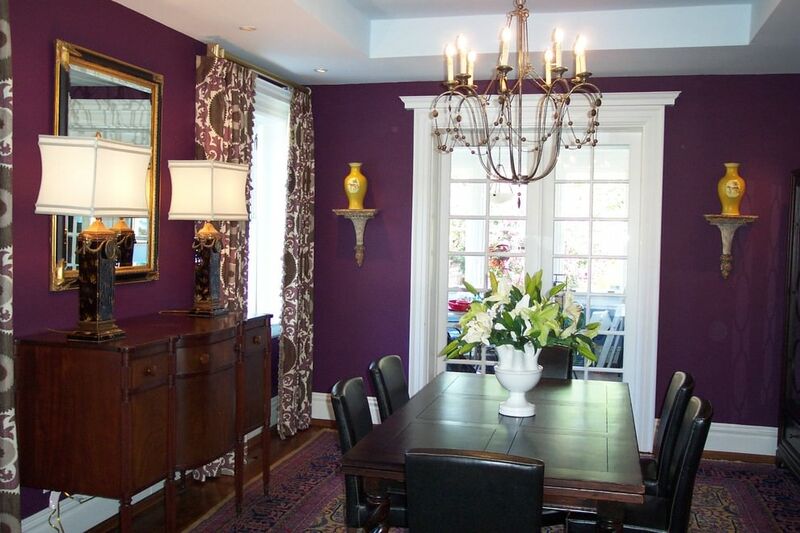 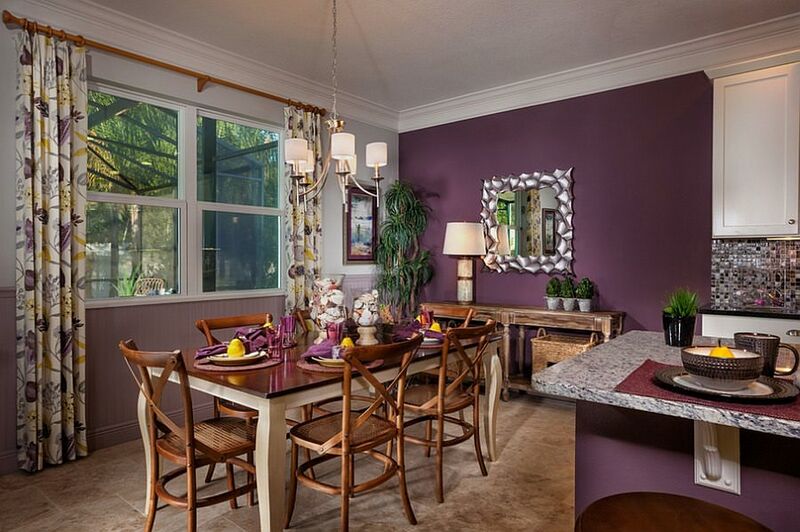 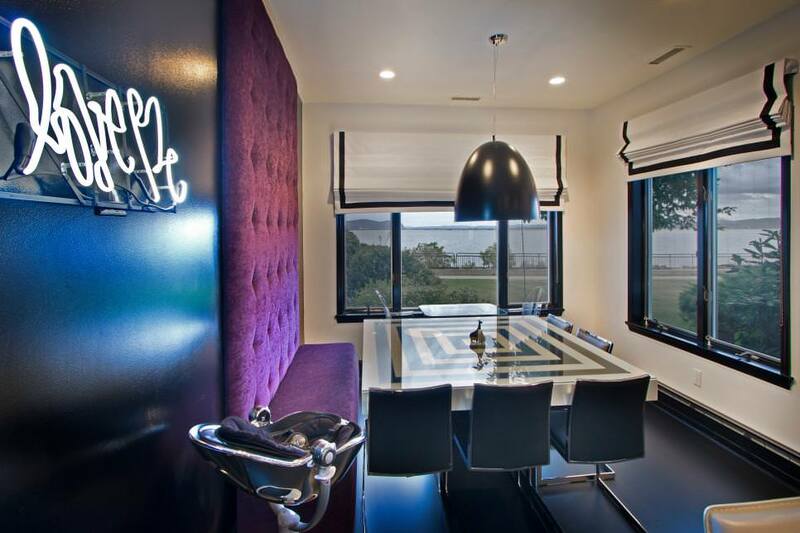 You can explore various shades of purple to decorate your dining room in a most elegant manner. 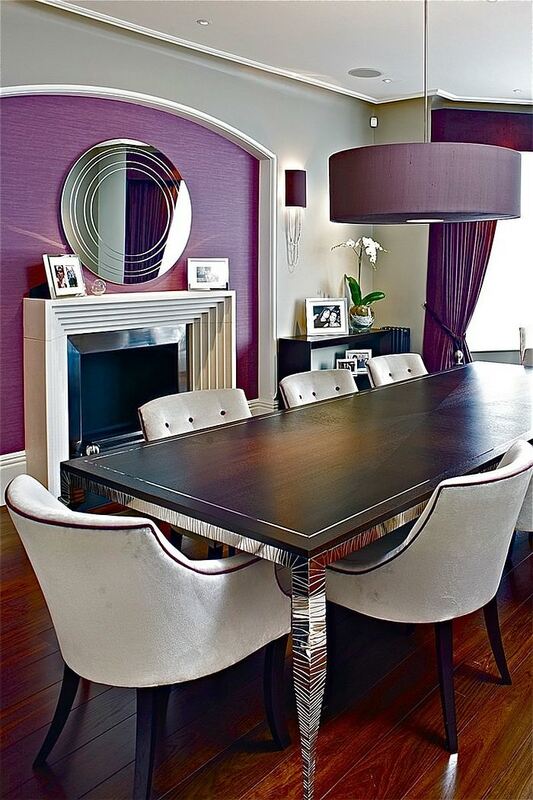 You can change your ordinary dining space into a fabulous classy refectory just by adding a few soft chairs of dark purple colour. 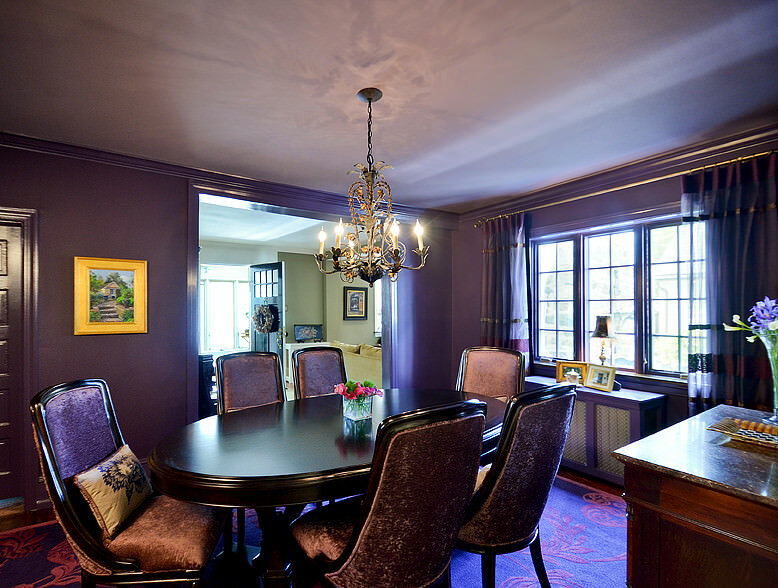 Else you can colour the walls in lilac shade and hang a classic chandelier to add a glamorous touch to your dining area. 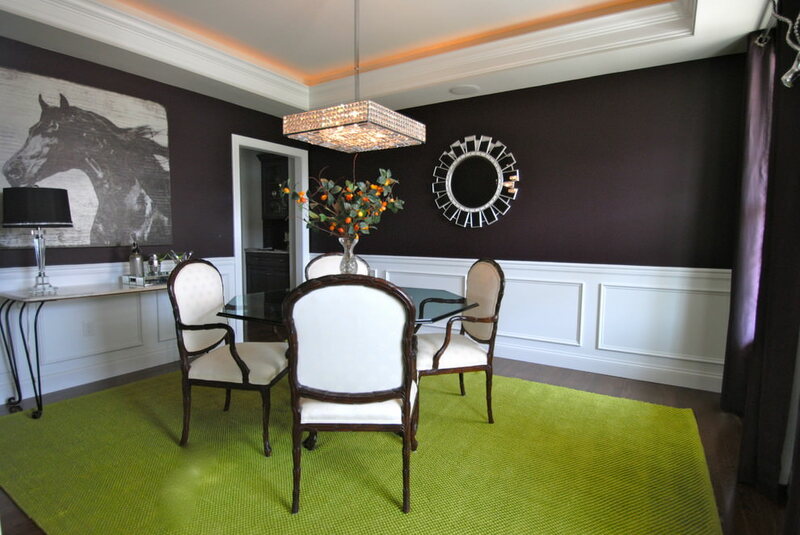 To add a signature décor to your dining room, you can use dark purple floor mattress or simply install a wall mural depicting a field of lavender to create a vivacious texture. 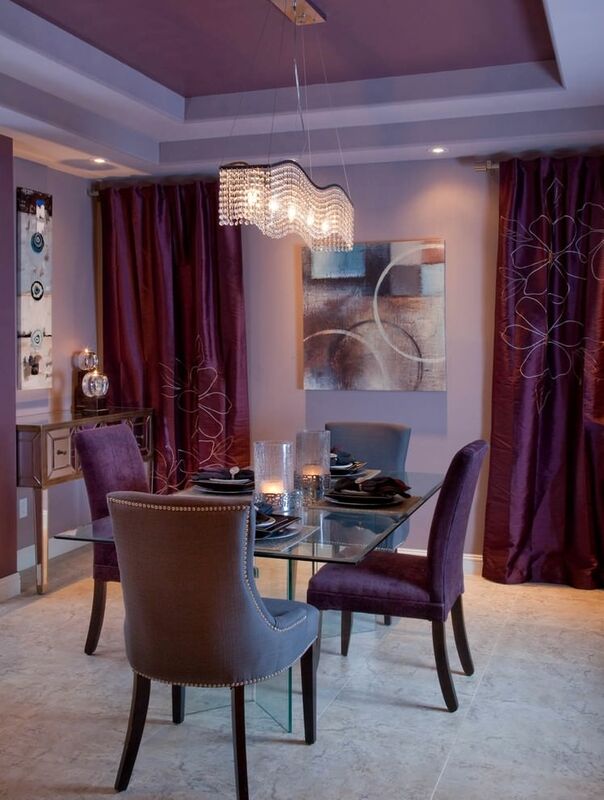 Satin drapes at the background, pendant lighting and fittings of neutral colours will keep purple as the focal theme of your dining room. 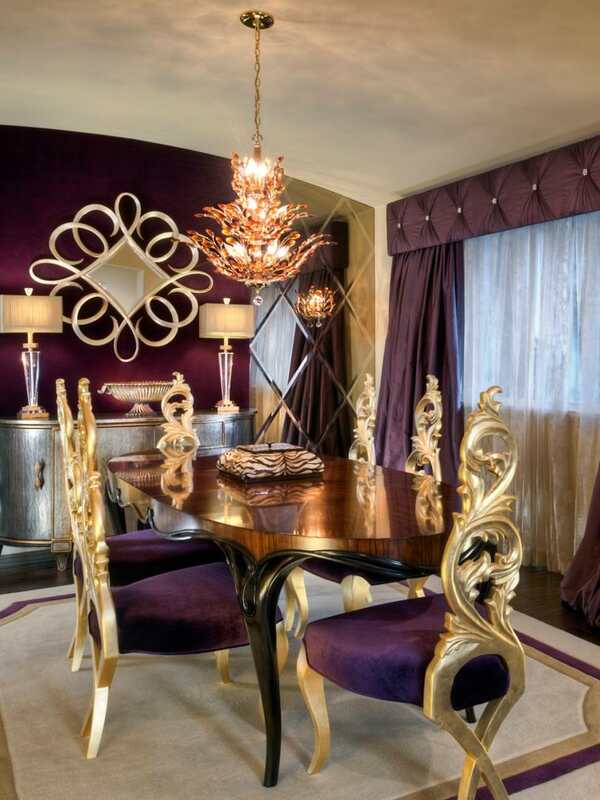 To prevent a visually monotonous look, stick to a basic purple shade and try to explore various other shades as golden or silver to create a classic appeal. 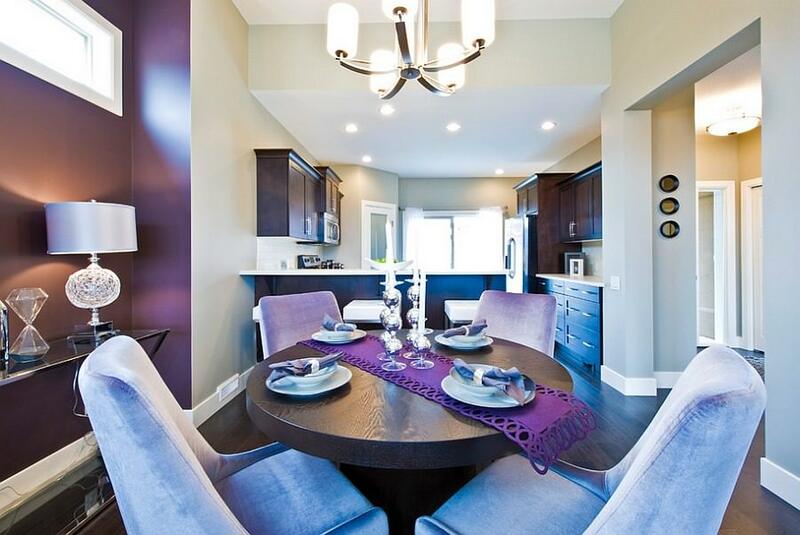 If you want to add a touch of character in your home décor, use metallic chairs with purple cushions as a contrast with your wooden table. 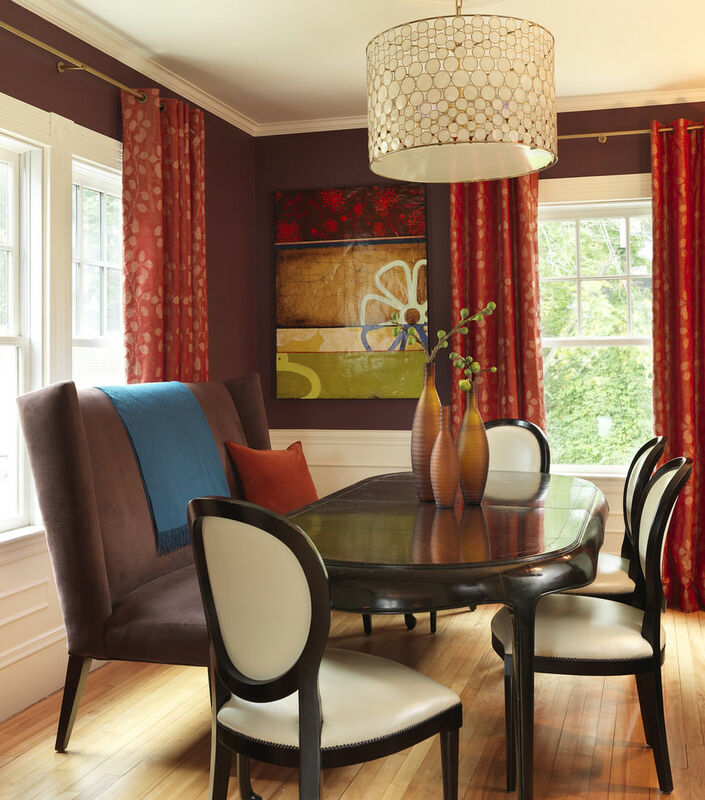 Compliment it with sheer white or translucent curtains which accentuate the space of your dining area. 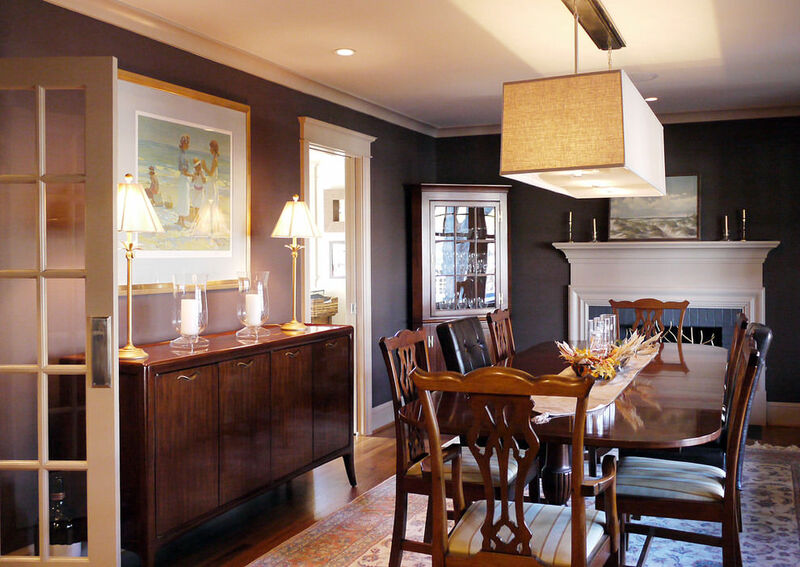 There are various techniques in which you can adorn your dining room and create your signature home décor. 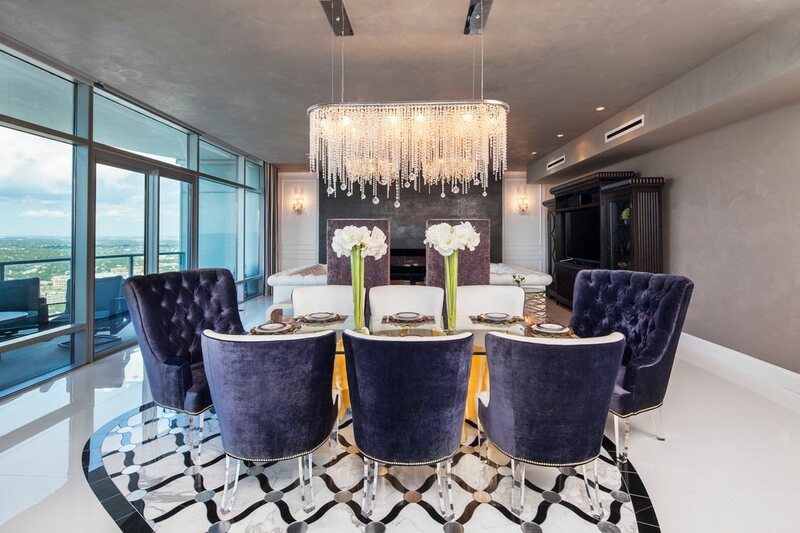 To get some of the best ideas consult an interior designer who can guide you choose the best colour scheme and corresponding fixtures.